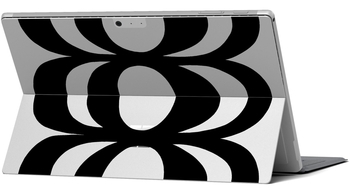 Spruce up your Surface with the most iconic Marimekko designs. From the bold Unikko and classic Kaivo, to the vibrant Siirtolapuutarha and whimsical Rsymatto. Pick the skin that best reflects your personal style and taste. Can't decide? Mix and match. All four skins are removable and interchangeable. Over the years, Marimekko has remained true to its original mission of bringing joy to everyday life. A positive and empowering lifestyle brand marrying creativity with function, Marimekko continues to delight the world with timeless, yet distinctive designs for fashion, accessories and home decor.